Acquired Immune Deficiency Syndrome (AIDS) jolted our collective consciousness in the 1980s. The deadly disease caused by the human immunodeficiency virus (HIV) had no known cure and, at the time, no effective treatment. HIV is a retrovirus, a virus with a genetic makeup and reproduction system differing from other kinds. After taking up permanent residency in the body, HIV begins “hijacking” the replication process of cells in the body's immune system and replacing it with a copy of its own. This destroys the cells' ability to protect the body from hostile organisms. As the virus affects more and more cells, the patient's condition ultimately develops into AIDS. An estimated 35 million people worldwide (1.2 million in the U.S.) are currently infected with the virus. Thanks to new antiretroviral drugs, though, HIV can be kept from accelerating into AIDS. While their condition remains serious, many HIV positive patients can now live long and relatively normal lives. Even so, having the virus requires them to pay close attention to their health, including their mouth. Even while stalled from becoming AIDS, HIV can still cause oral problems for 30 to 80% of patients. The fungal infection candidiasis (also known as thrush) is the most common of these problems, which appears as lesions, cracking skin or creamy white patches on the tongue or palate that easily bleed. Patients also have higher risks for dry mouth, oral cancer and periodontal (gum) disease. HIV positive patients must practice diligent daily oral care and see their dentist for checkups regularly. Prevention, early diagnosis and treatment can keep gum disease and other damaging conditions under control. 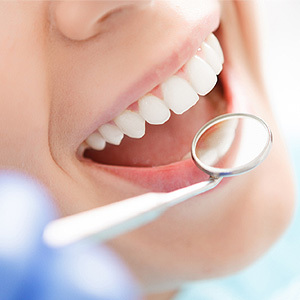 Monitoring oral health is also important because certain mouth conditions could be an early sign the infection is entering a new advanced stage in the body that requires additional attention. Keeping vigilant in all aspects of health is a way of life for someone with HIV. Such vigilance, though, can help them maintain a healthy mouth and even prolong their life. If you would like more information on how to manage oral care with HIV, please contact us or schedule an appointment for a consultation.